In recent weeks I have looked at all the different options available for flooring throughout the house. 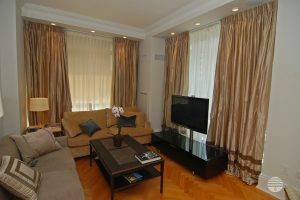 I think its time now to move on to one of my favourite accessories in a room - Curtains. 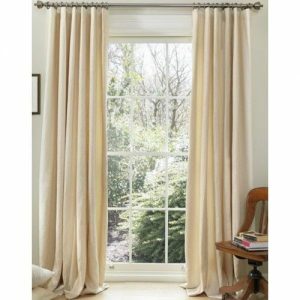 I love curtains and the warmth, light and colour they can bring to any room. And in this climate curtains so often make a room. In the modern world they also work to "blanket out" sounds - when recent designs include painted walls and wooden floors throughout sound can be intrusive creating strong echos. Curtains often soften these echos, making a room cosier. Looking at adding some new life to a room? 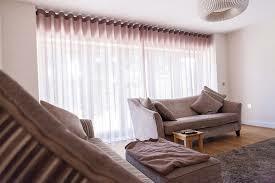 Talk to me about curtain options - call me on 01 294 3675 or email me here. 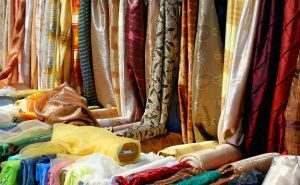 Curtains can be hung in many ways, on rails, corded or uncorded and on poles, wooden painted and unpainted and in various metals and finishes. 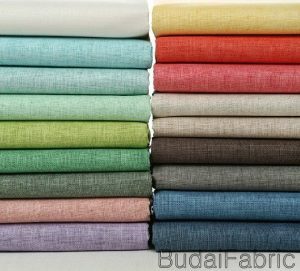 Curtains can have different headings - French, Spanish or Pleats. Pleats are traditional and very elegant and sit neatly alongside windows when open. 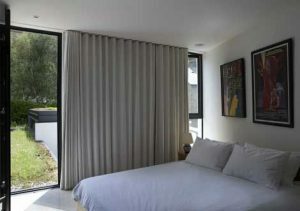 A modern treatment is a Wave Curtain, which looks really simple and good and can display a pattern fabric beautifully. They also stack very neatly when open. They are modern, understated, elegant and work very well on large windows such as Patio doors. 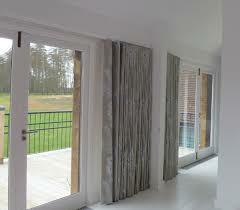 Curtains can be sheer, lined or unlined. 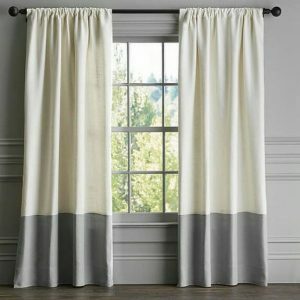 However, lined curtains always sit and look better. 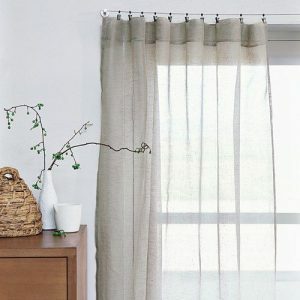 My favourite - I love a Wave Curtain in a simple linen fabric, plain, coloured or natural.